I love it when you can just whip up a simple card for a friend on the fly! 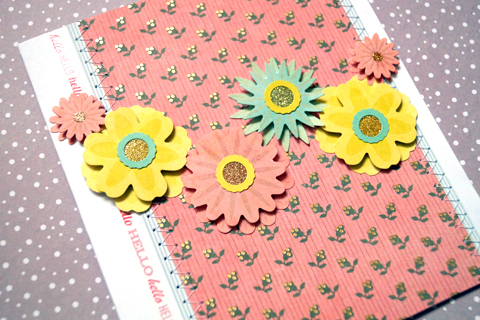 Using scraps from previous SEI creations I was able to do just that with this simple "Hello" card here. I used my sticker sheet from the Catalina collection that's filled with floral elements and used 6 flowers from the sheet. 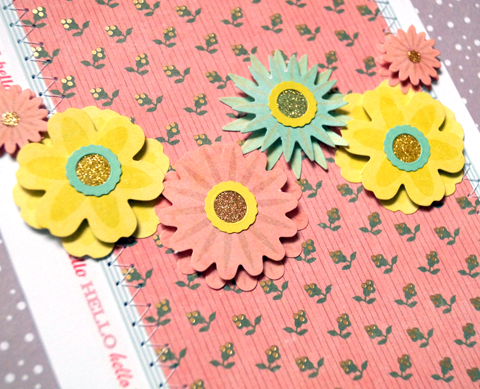 I used some of the Catalina collection's Sweet Calico patterned paper and some scraps from the Hooray! birthday collection and I added some of the rub-on/tape dispensed sentiments and was done! That easy...and it turned out pretty cute too!